Get in touch with nature at Safaris and Palm Cove Beach. Spend the 17th (Wed) among aquatic life with a scuba or snorkeling tour. There's more to do: experience rural life at Hartley's Crocodile Adventures and look for gifts at With Sugar. Discover how to plan a Port Douglas trip in just a few steps with Inspirock's itinerary builder. Mobile, USA to Port Douglas is an approximately 29-hour flight. Traveling from Mobile to Port Douglas, you'll lose 16 hours due to the time zone difference. Plan for a bit cooler temperatures traveling from Mobile in June, with highs in Port Douglas at 79°F and lows at 65°F. 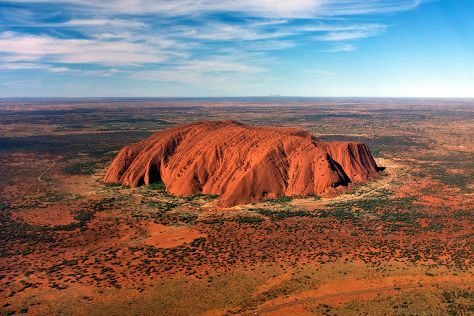 Wrap up your sightseeing on the 19th (Fri) early enough to travel to Uluru-Kata Tjuta National Park. Visiting Uluru and Kuniya Walk will get you outdoors. And it doesn't end there: take your sightseeing to a higher altitude at Kata Tjuta, take in the exciting artwork at Walkatjara Art, head outdoors with Walpa Gorge, and take in the pleasant sights at Lungkata Walk. To find traveler tips, photos, ratings, and other tourist information, refer to the Uluru-Kata Tjuta National Park online day trip planner . Do a combination of shuttle and flight from Port Douglas to Uluru-Kata Tjuta National Park in 6 hours. Alternatively, you can drive. Traveling from Port Douglas in June, expect nights in Uluru-Kata Tjuta National Park to be colder, around 44°F, while days are a bit cooler, around 67°F. Finish your sightseeing early on the 22nd (Mon) to allow enough time to travel to Melbourne. Do your shopping at Melbourne Central and Lightning Ridge Opal Mines. 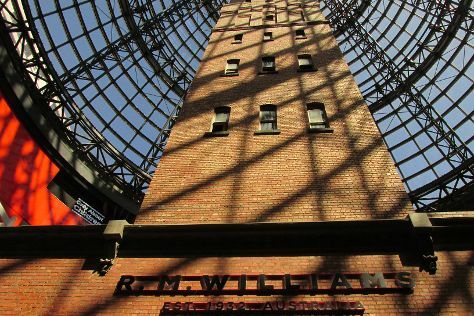 The adventure continues: meet the residents at Melbourne Zoo, buy something for everyone on your list at Emporium Melbourne, shop like a local with The White Room Interiors, and admire the natural beauty at Royal Botanic Gardens. For traveler tips, where to stay, more things to do, and tourist information, read our Melbourne route website . Traveling by flight from Uluru-Kata Tjuta National Park to Melbourne takes 5 hours. Alternatively, you can drive. When traveling from Uluru-Kata Tjuta National Park in June, plan for slightly colder days and about the same nights in Melbourne: temperatures range from 57°F by day to 42°F at night. Wrap up your sightseeing on the 25th (Thu) early enough to travel to Sydney. 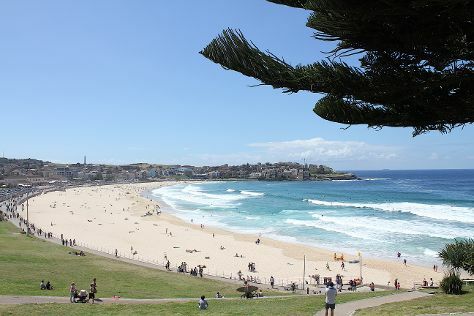 Get in touch with nature at Bondi Beach and Clovelly Beach. Give yourself a bit of retail therapy at Sydney Fish Market and Birkenhead Point Brand Outlet. There's much more to do: tour the pleasant surroundings at Manly Beach, get up close to creatures of the deep with a dolphin and whale watching tour, take a stroll through The Rocks, and don't miss a visit to Sydney Harbour Bridge. To see photos, where to stay, traveler tips, and more tourist information, use the Sydney travel planner . Traveling by flight from Melbourne to Sydney takes 3.5 hours. Alternatively, you can do a combination of shuttle and flight; or drive. Expect somewhat warmer temperatures when traveling from Melbourne in June; daily highs in Sydney reach 65°F and lows reach 50°F. Wrap up your sightseeing on the 29th (Mon) to allow time to travel back home.